Charles Ward Alexander, age 82 of Troy, passed away Tuesday, October 23, 2018. He was born April 24, 1936 in Troy to the late Melvin and Glenna (Ward) Alexander. Ward is survived by his wife Dora Jane (Mangas) Alexander, whom he married on July 12, 1958; daughter Gail McCreight (David) of Troy; granddaughter Jessica McCreight Brown (Scott) of Maryland; brother Harold Alexander (Alyce) of Troy; and sister Linda Ross (Gary) of Pennsylvania. He is proceeded in death by grandson Daniel McCreight (1984). Ward was a 1954 graduate of Miami Central High School and a member of Troy Church of the Brethren. He retired from G&S Tool Service in Troy after 34 years as a machinist and also worked for Celina Insurance. 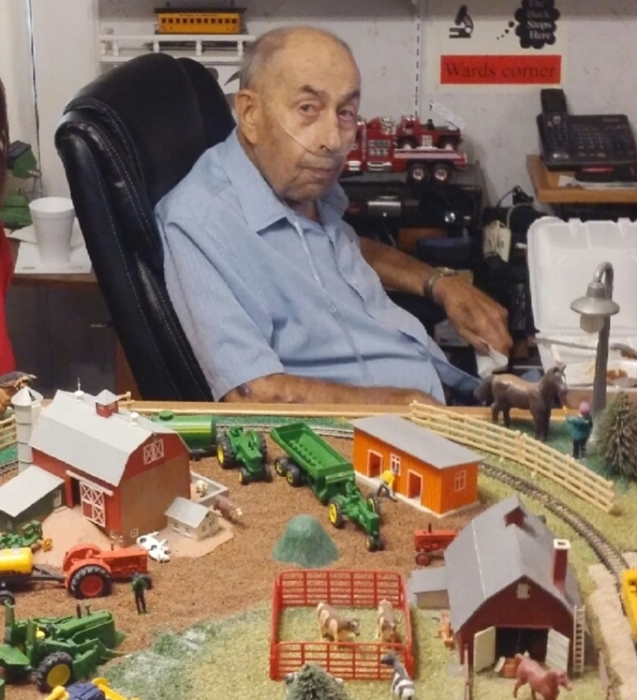 Ward enjoyed collecting antique mechanical toys and trains. He was the proud owner of several pristine Chryslers too. Ward enjoyed working in his yard and going fishing. A funeral service will be held 3:00PM Saturday, October 27, 2018 at Fisher-Cheney Funeral Home, Troy. Visitation will be from 2:00PM-3:00PM at the funeral home prior to the service. Interment will follow in Riverside Cemetery, Troy.